C.C. 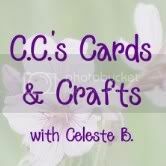 's Cards and Crafts: Throwback Thursday - Princess! Emma over at My Creative Time is doing another Throwback Thursday. This week's theme is Princess!! YEAH! You are either supposed to use the Tinkerbell cartridge (which I don't have) or an older cartridge, but the theme is Princess. Well, when all else fails - go to Hannah Montana! Ok - I know, that sounds funny, but I have a 5 year old that LOVES her. To my surprise the Hannah Montana cart has a tiara! I used the crown and welded my little girls' name to the bottom of the tiara shadow. The font is from Plantin Schoolbook. What is a crown without a little bit of pink bling?! I was originally going to do a normal card, but I decided to change it up a little bit. Instead I made a little holder for the tiara and her name so that you couldn't see the name. I used the George cartridge and welded an oval and a rectangle to create the little pocket and attached it to a big rectangle. What a wonderful idea adding the name to the crown. Love the color combination. Love the tiara... Very cute idea.. May have to borrow it.. Nice job. Oh this is just beautiful the colors and the paper are fantastic! Very creative card :) It is absolutely perfect for the princess challenge!! I love it! and how you added her name! How cute! Great idea to customize the crown. OMG, this is GORGEOUS!! You did an AWESOME job w/the challenge my friend!